•If you’ve worked and struggled through your forties, fifties and sixties and have nothing or not nearly enough to retire, my book can help. •If you don’t want to be blamed or shamed about it and you’re exhausted from trying to survive and overcome every day… I know who you are. •If you’ve been downsized, rightsized or unemployed for months or years, “Faking Normal,” with links to over 100 online resources offers a dignified road map for survival. •If you’re ready to stop beating up on yourself and get serious about feeling good again about who you are while creating the best life you possibly can on less income, this book is for you. 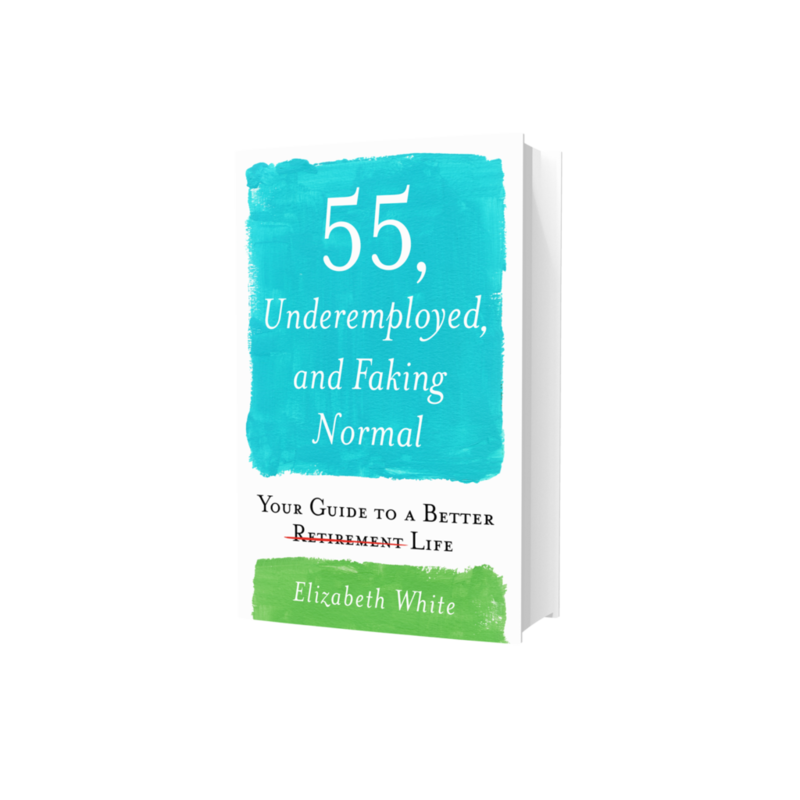 •55, Underemployed, and Faking Normal is your invitation to join me and millions like us to link shields, build our community of hope, share resources, ideas, and survival strategies.